Jet charter flights to or from Tuscaloosa, Alabama via Tuscaloosa Regional Airport (TCL) are now boarding with Charter Flight Group (CFG). Whether planning a trip to Tuscaloosa to watch the Crimson tide, business, or any other reason, when you fly CFG, you are in the best hands in the business. With more than thirty years in the industry, we know what it takes to earn and keep your business. We provide a vast array of private planes via TCL through countless origins and destinations. Our extensive experience in booking private trips has made us a leader for a simple reason: We focus on service, but understand that safety is a foundation of great service. To ensure our mission of providing the greatest private flight service in the world, we strictly comply with all FAA FAR Part 135 regulations then back that up through the use of the best third-party auditors in the business. 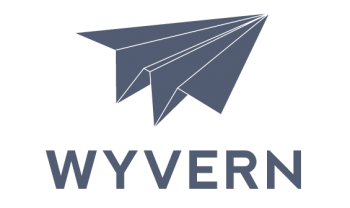 Both Wyvern and ARG/US regularly ensure that every jet charter flight member maintains perfect service records. From pilots to ground crews, nothing but perfect records are required to service our clients. Did we mention that we provide the best service? At CFG, we believe that great service requires professionalism, knowledge, and flexibility. Our coordinators are available 24/7 to book your private jet and make all your arrangements (except packing, of course). Each has years of experience in private jet bookings and is knowledgeable in planning whatever aspect of your trip you require. We understand that you may only want a piston for your trip to TCL. Or you may prefer something larger, such as a Gulfstream or Challenger jet. Maybe, you are in need of a group airliner for the entire team or organization. Or a one-way. Or you may even be seeking an empty-leg. In short, we will do what it takes to show you the Charter Flight Group difference. Call 1-888-634-7449 today to discover the CFG difference and arrange your jet charter flight to/from Tuscaloosa Regional Airport (TSC). If you have business in the region and prefer another airport near Tuscaloosa, Alabama for your jet charter flight, you may prefer some of these. Contact CFG at 1-888-634-7449 to arrange your jet charter flight to TCL or any other of your choice.